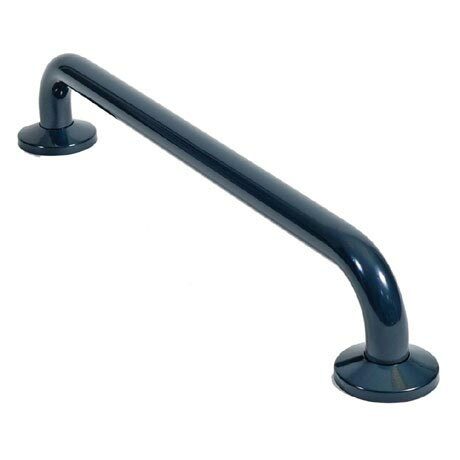 A non corrosive aluminium constructed grab rail in a blue finish. The support rail offers a safe hand hold providing support to push or pull against when standing up or sitting down, a steadying support & balance when standing or dressing or a firm grip whilst transferring from one position to another. Complies with DocM requirements.